Residence halls for the class of 2022 include Susan B. Anthony Halls, Genesee Hall (our newest residence hall), Gilbert Hall, Hoeing Hall and Tiernan Hall. Housing options for upperclassmen include a wide variety of options. Learn more about the Housing Lottery. River Campus’ newest residence hall, which overlooks the Genesee River from its east side, also bears its name. 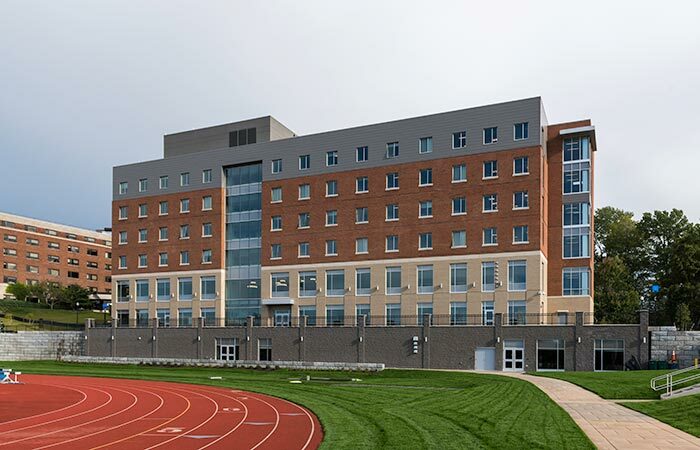 Opened in fall 2017, Genesee Hall features housing for approximately 150 freshmen, as well as meeting rooms, a new locker room facility, and training rooms for athletic programs. View floor plans, residence hall rules, and other general information. Student-led organization dedicated to enhancing the living-learning experience. Want more information about residential life and housing services? Contact us.